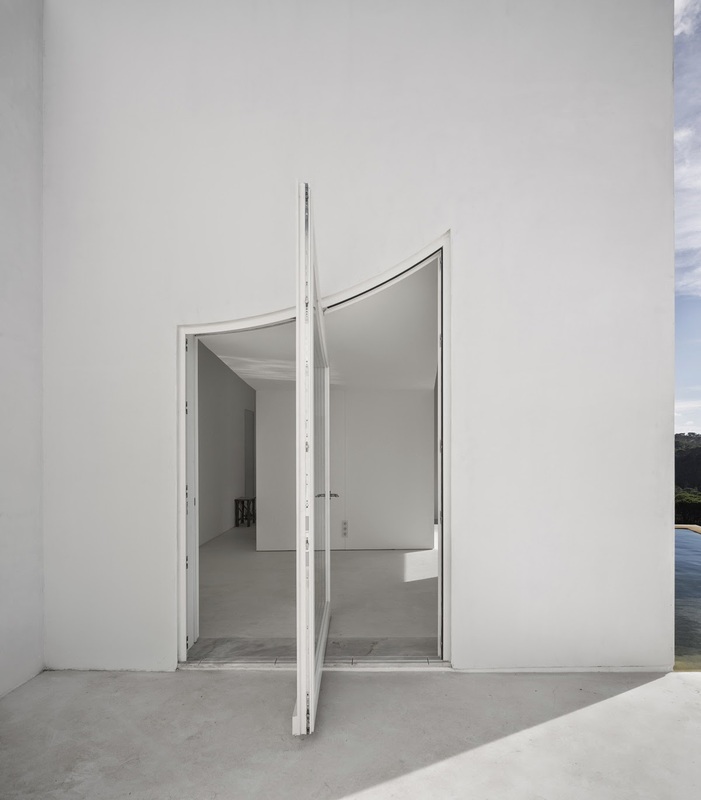 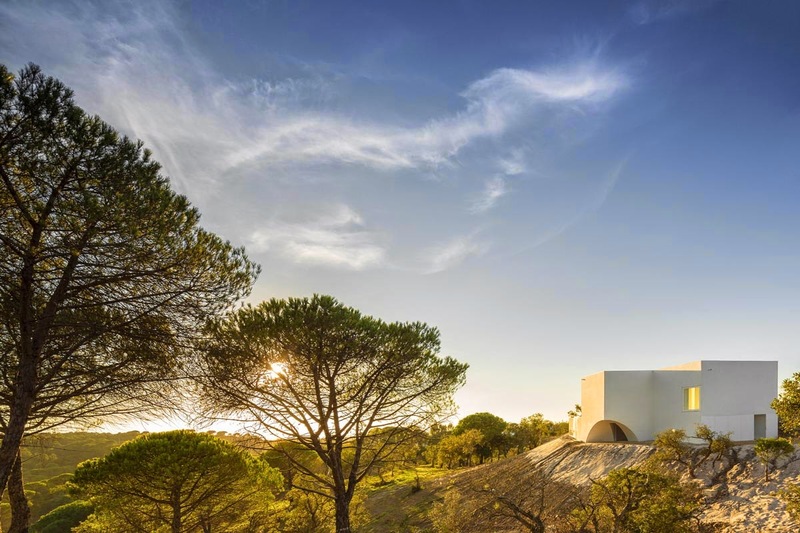 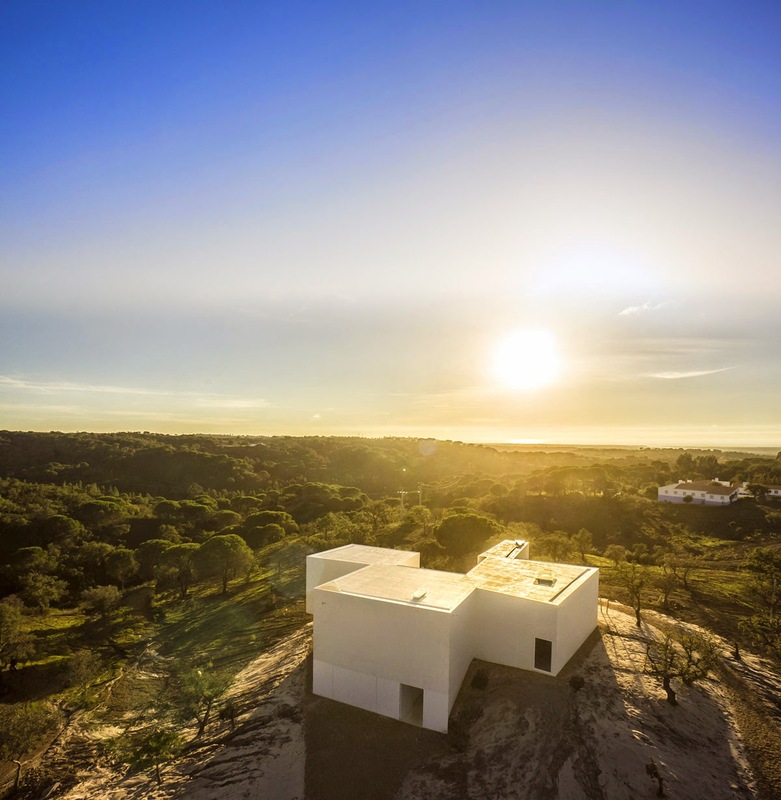 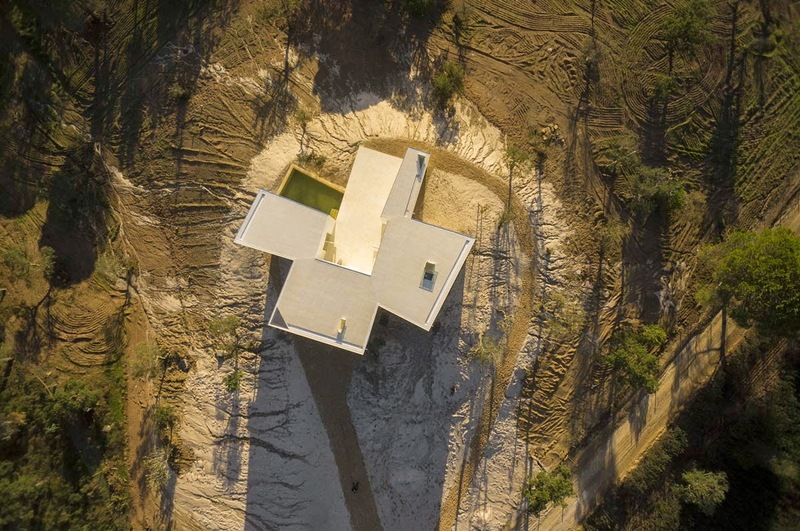 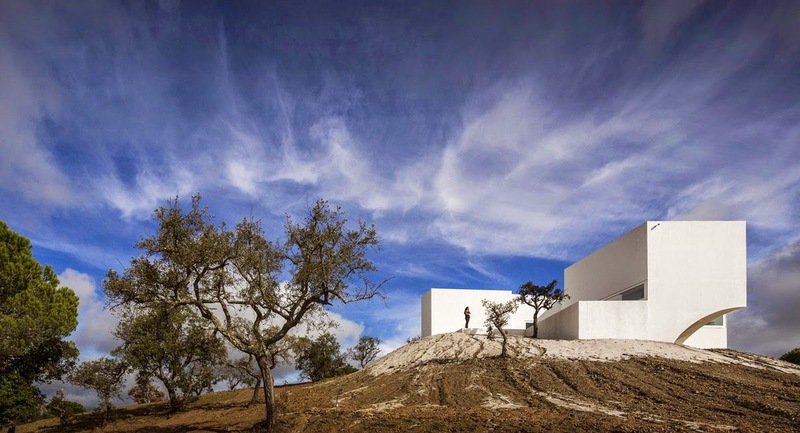 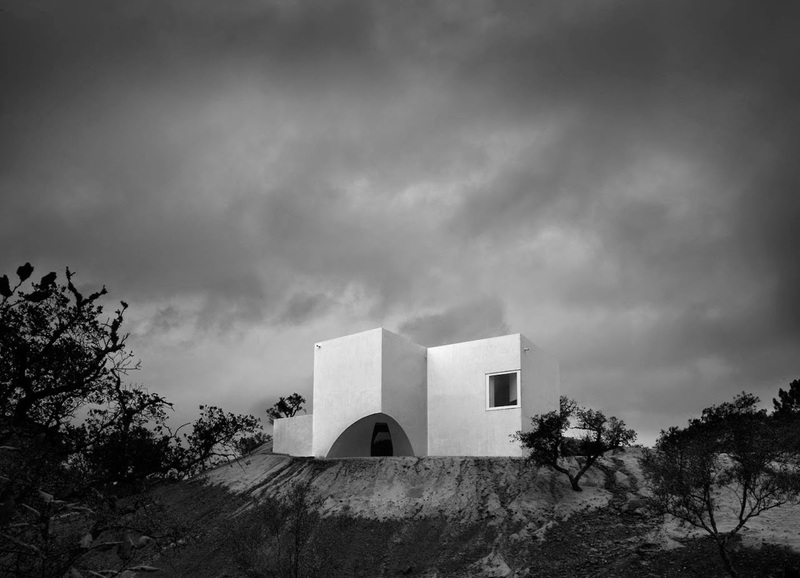 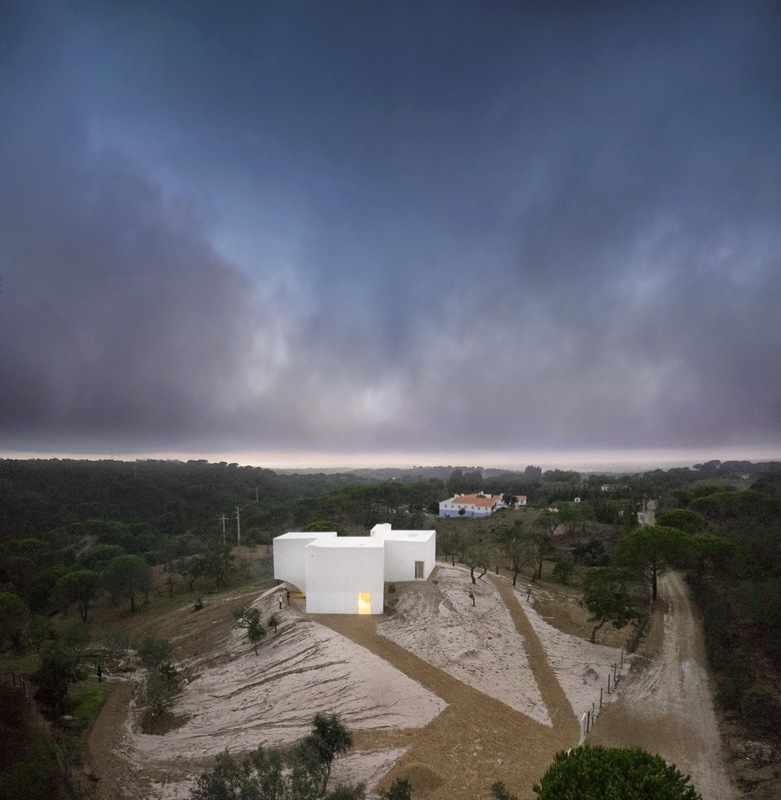 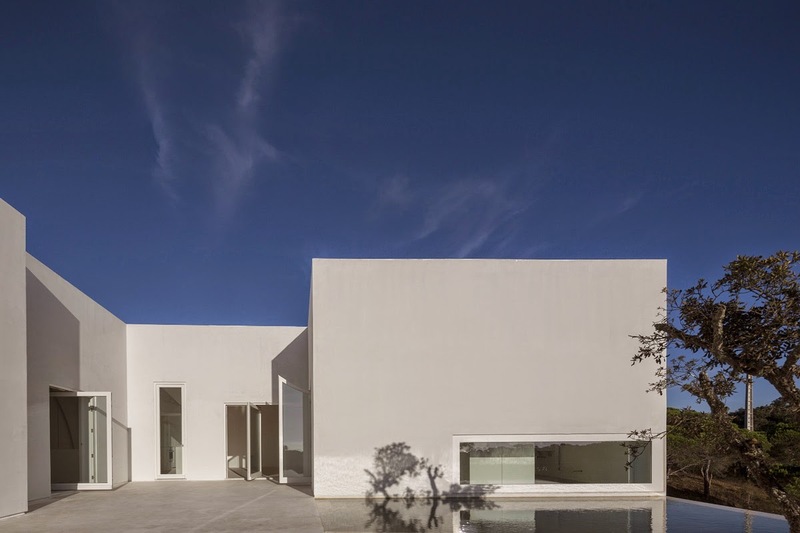 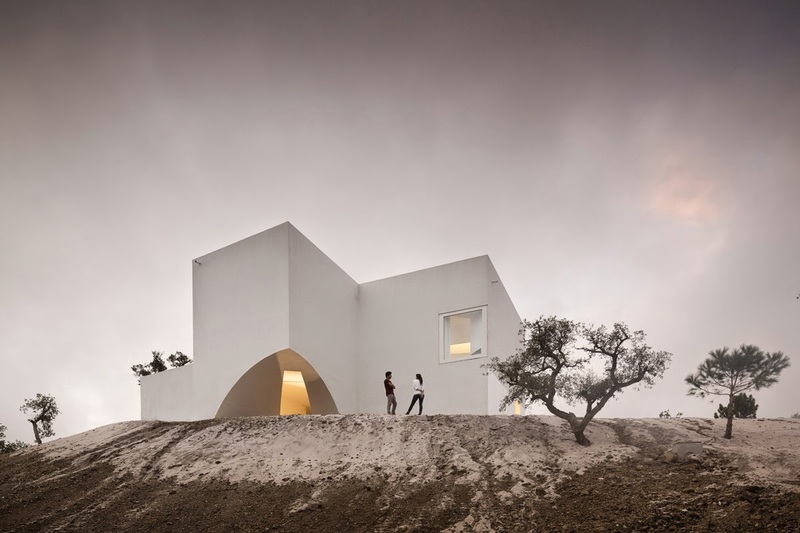 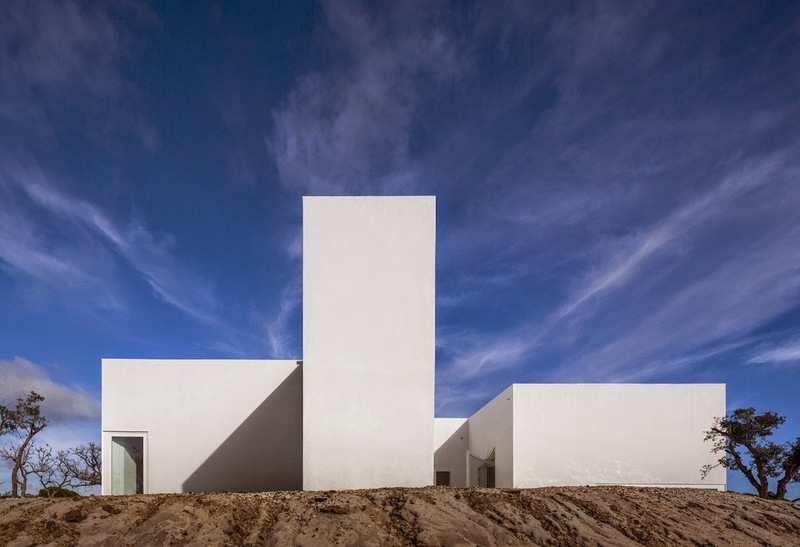 Architect Manuel Aires Mateus together with Lisbon based studio SIA arquitectura designed House in Fontinha, on a site outside the rural town of Melides, Portugal. 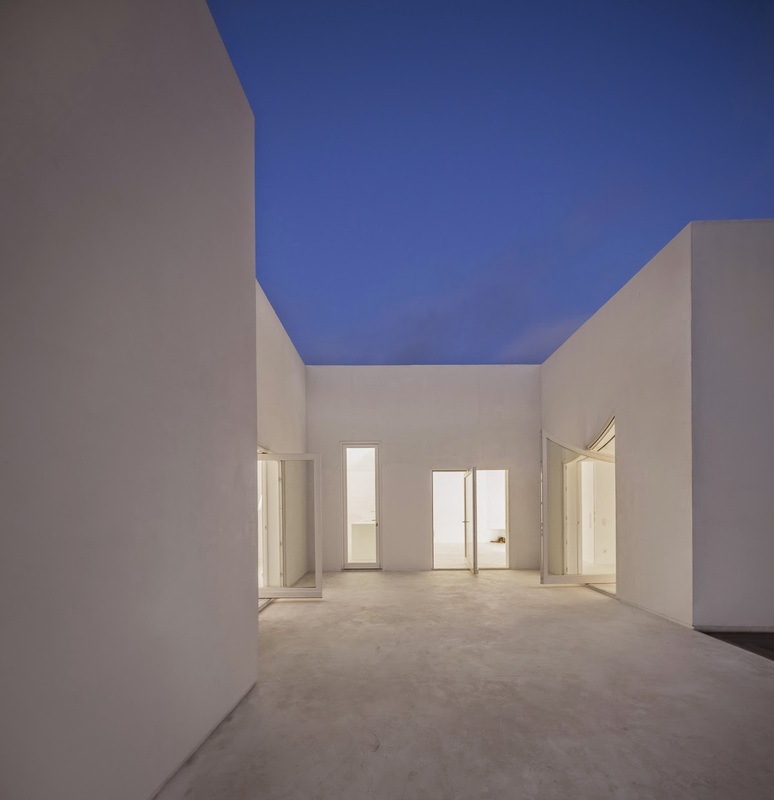 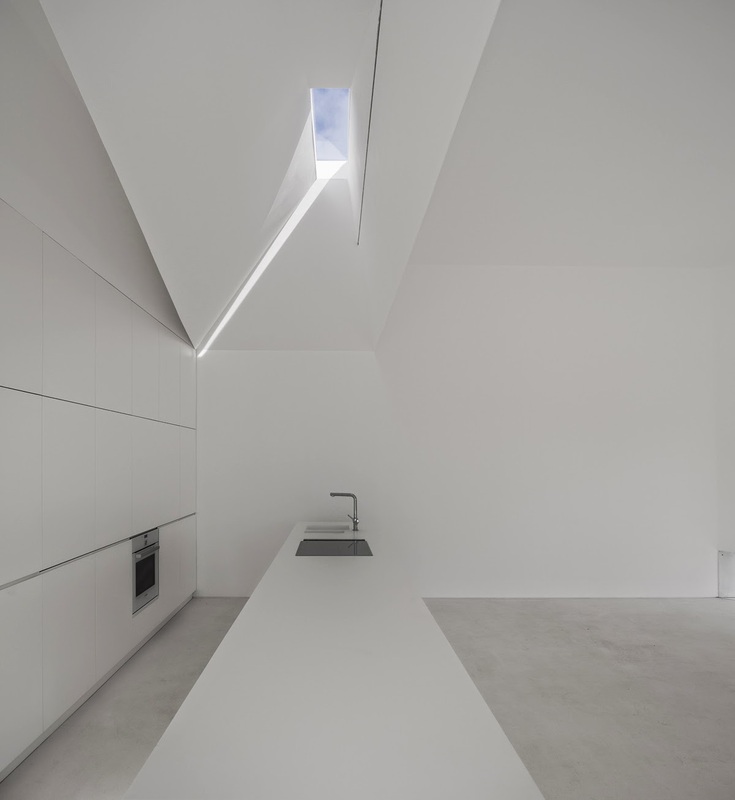 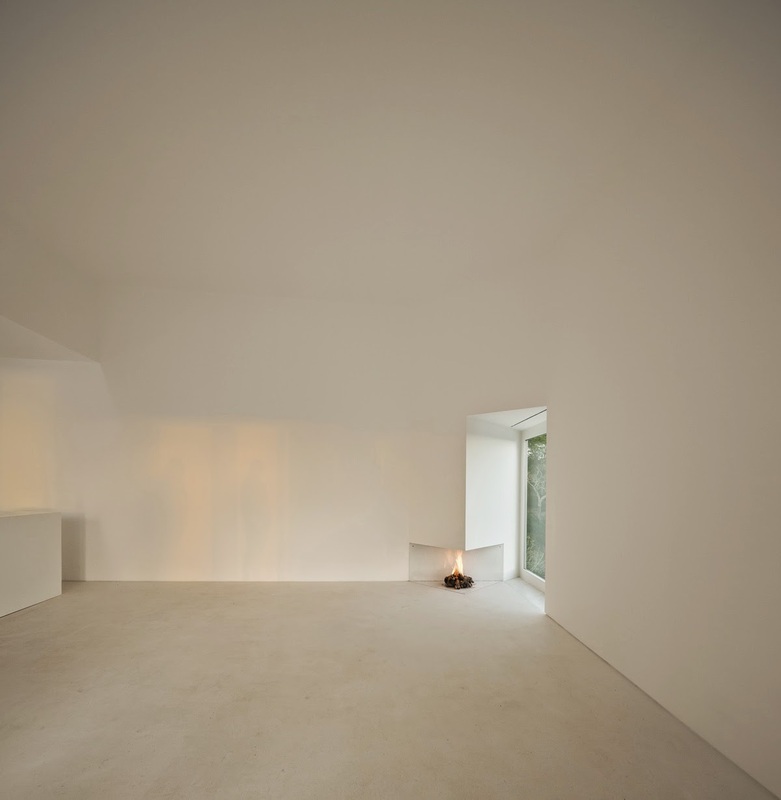 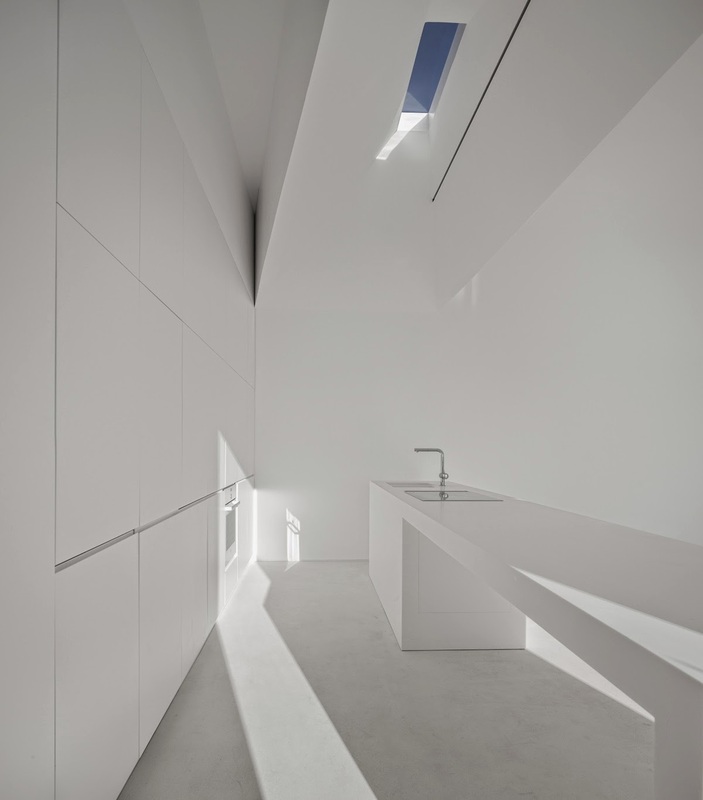 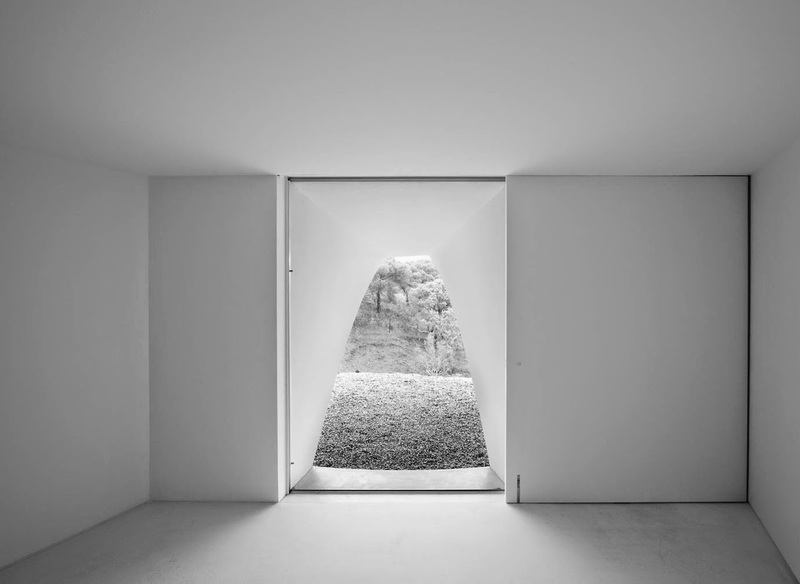 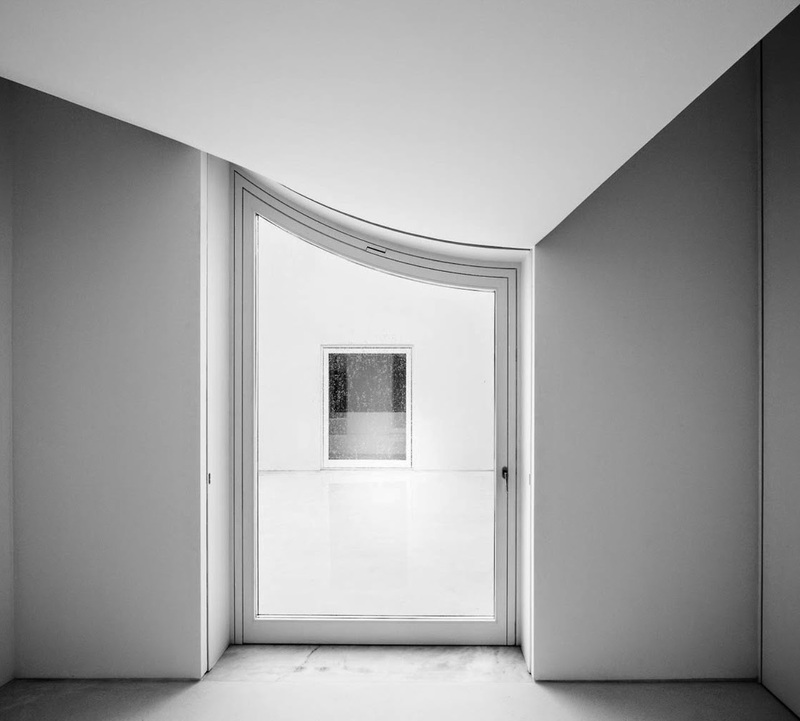 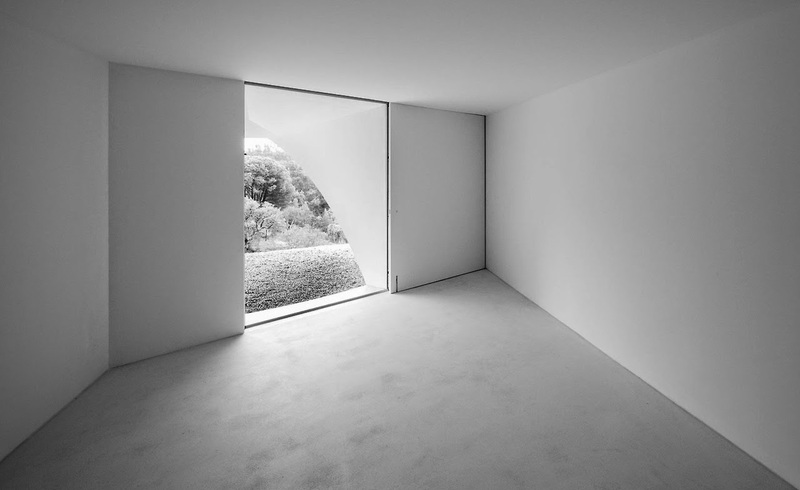 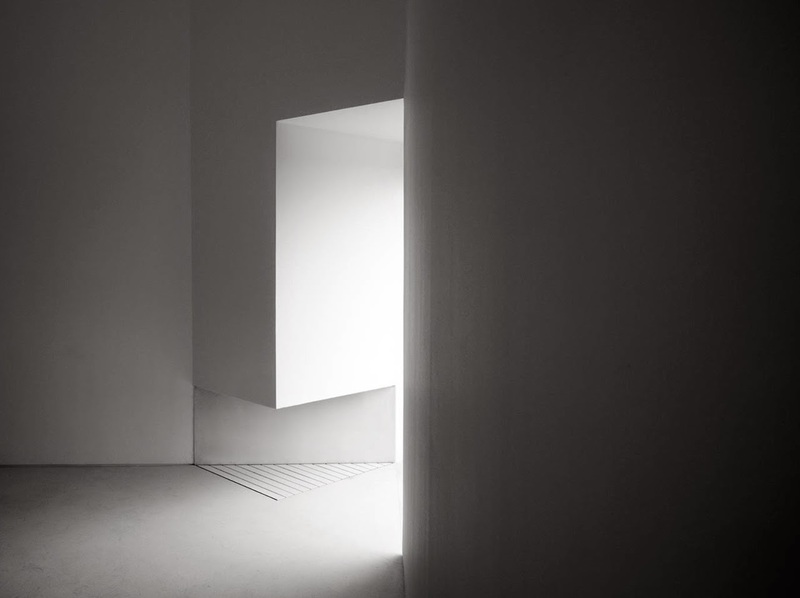 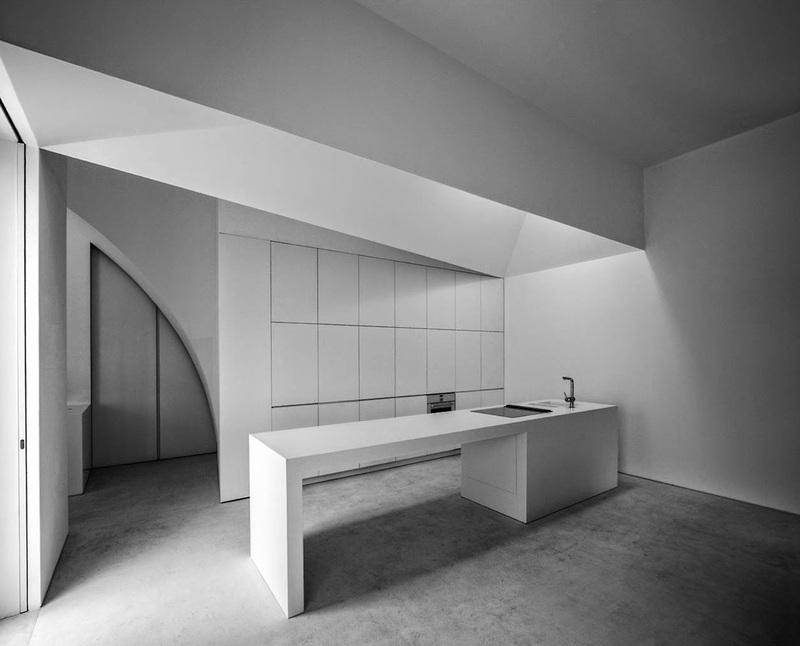 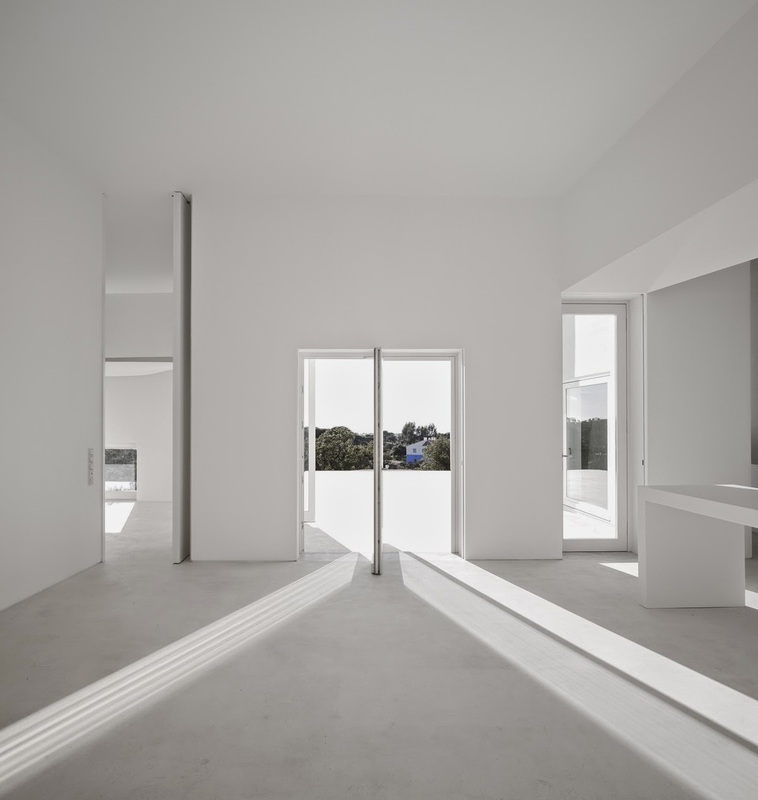 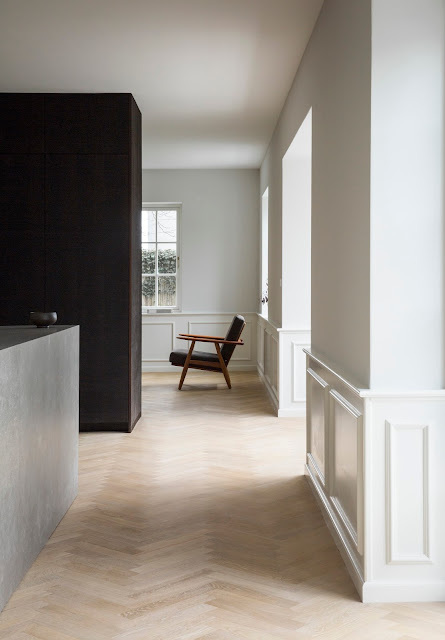 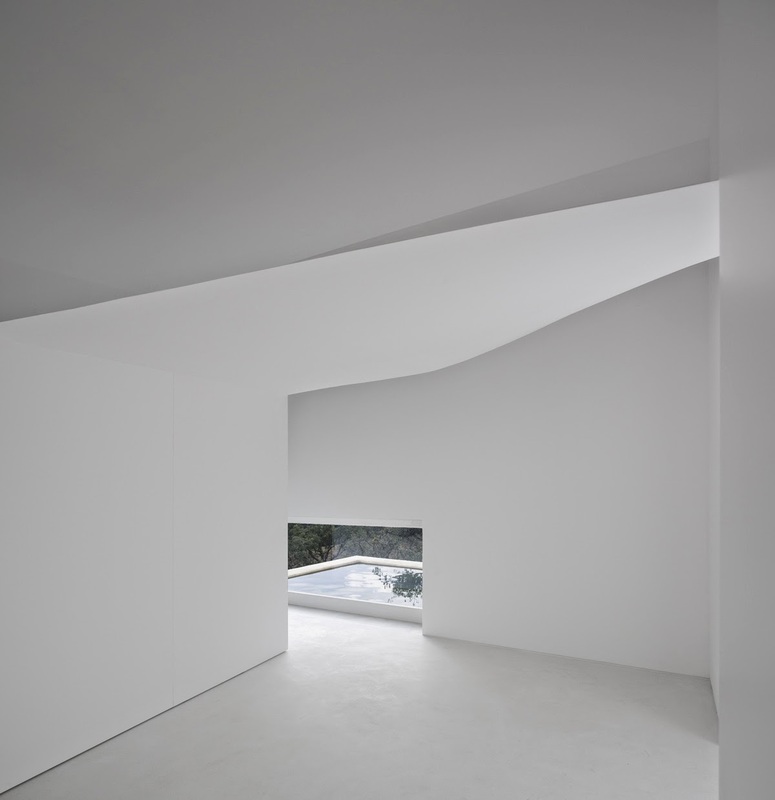 The minimalist building has a cross shaped plan and a seductive, sliced away missing corner. 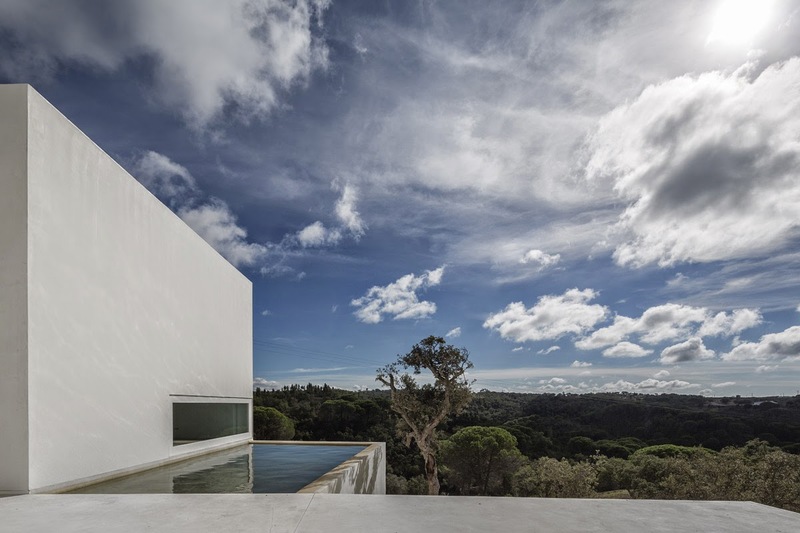 At the peak of the hill, the house is a lookout point offering views out across the Fontinha Estate. 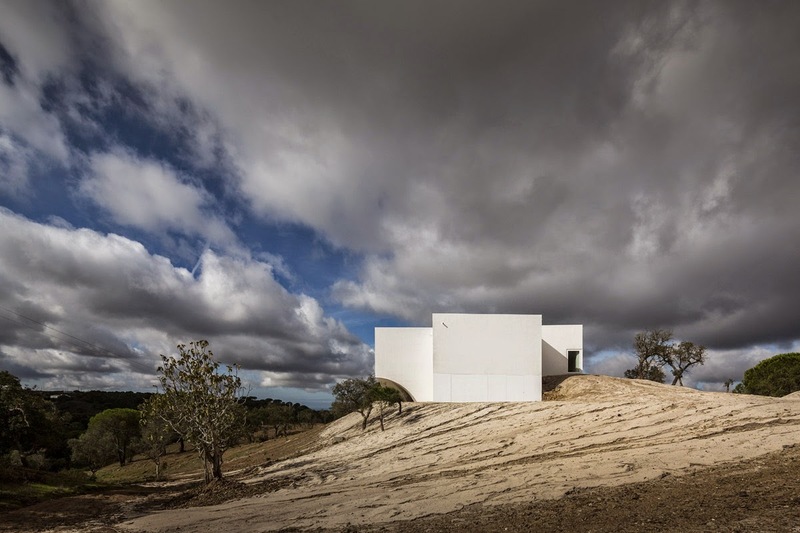 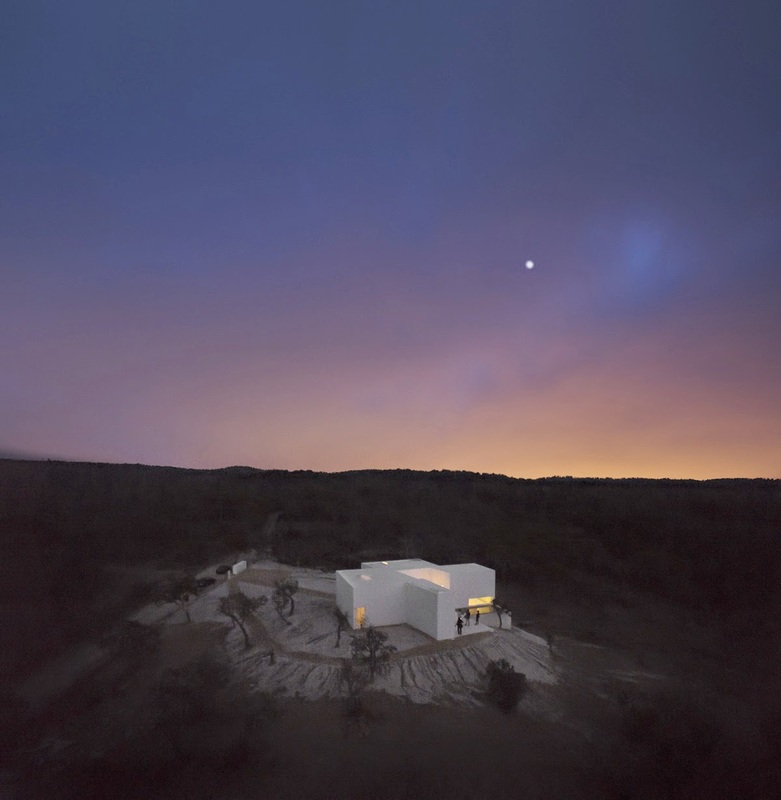 On the Grândola crest, the house is designed in the balance between a courtyard house, with a protected core relating to the sky, and an opening to the distant ocean view. 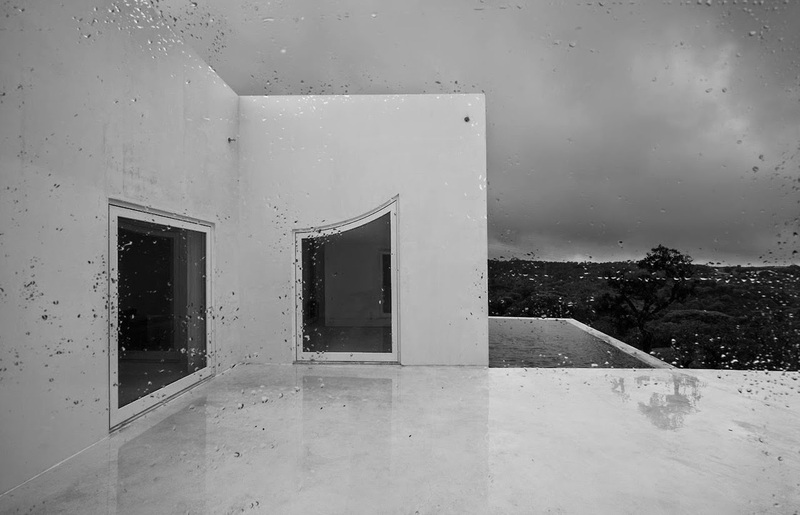 The topography is modeled, to protect it from the access road, and release the view. 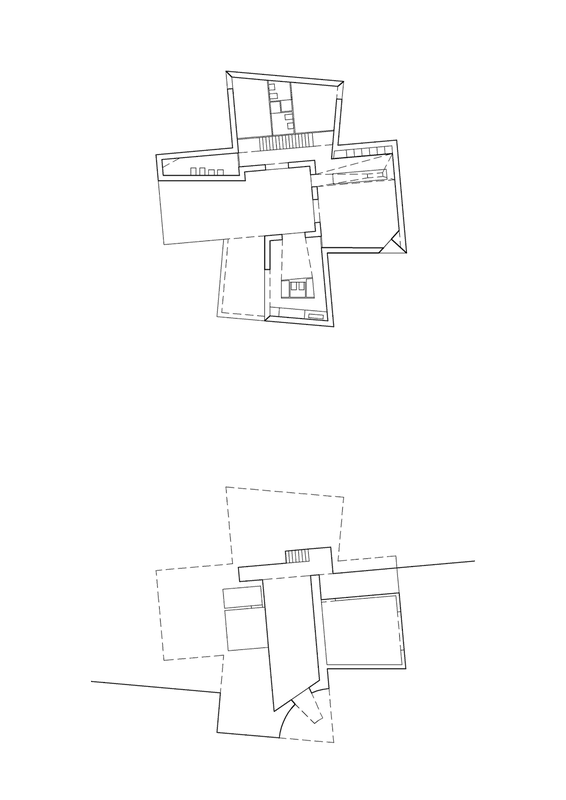 The perimeter delineates the internal lodgings and its transitions. 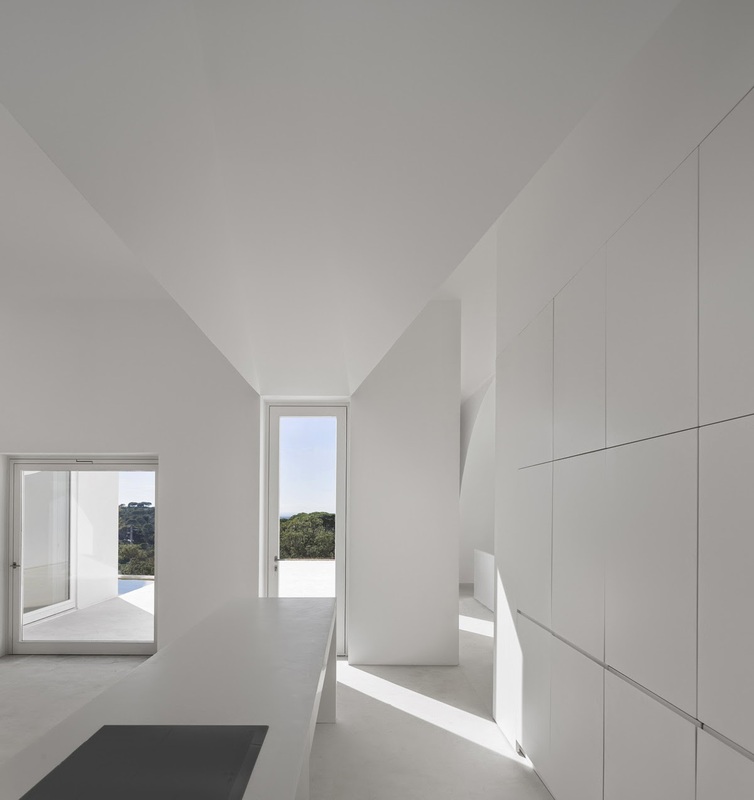 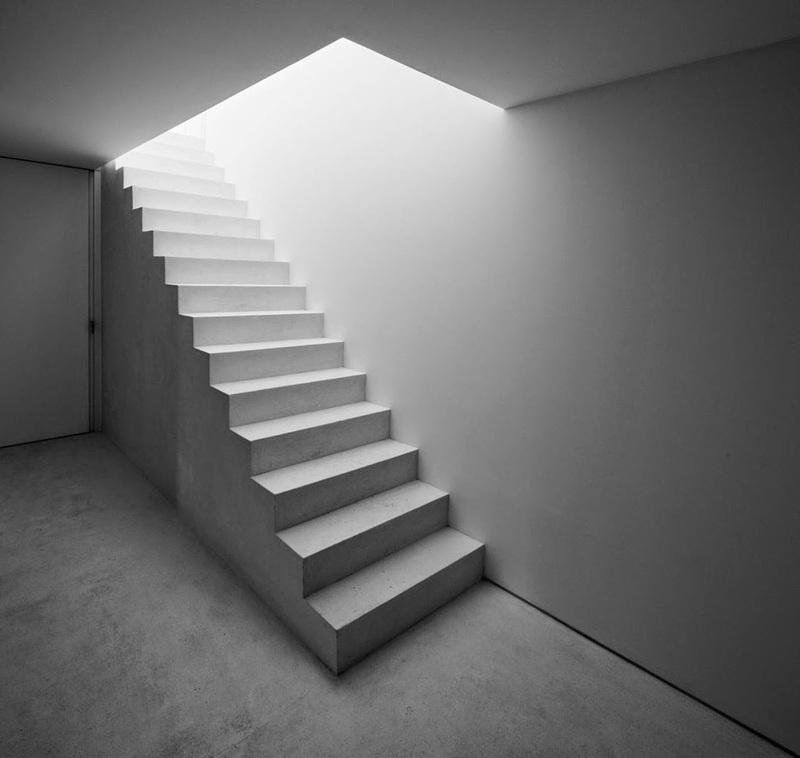 High volumetric spaces, occupied by elements that define functions and atmospheres.